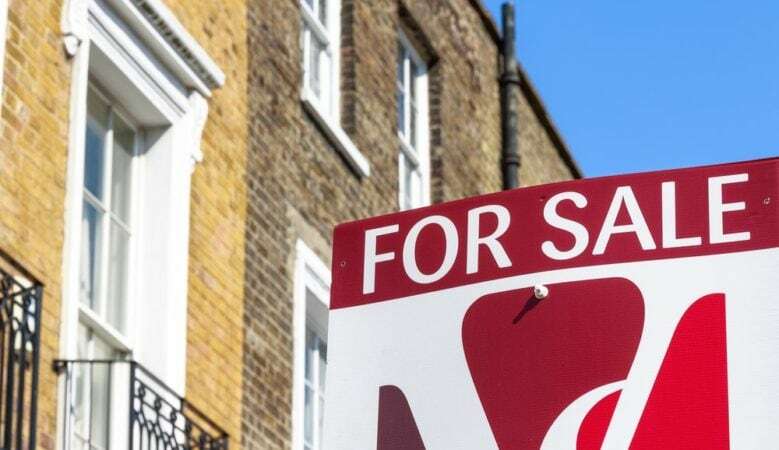 The proportion of homes in England and Wales bought with cash fell to 29.6% in the first half of 2018, the lowest level for five years, according to new research. The number reached 113,490 homes totalling £25.3 billion in value, some 21% less than in the first half of 2017 when they reached 144,350) worth £31.2 billion, the analysis from Hamptons International shows. This was also less than the peak in cash purchases of 37.8% in the second half of 2018 and the firm says that the downward trend in the proportion of homes bought with cash reflects a drop off in investor and developer purchases. The research also shows that in the first half of 2018 investors accounted for 24% of cash purchases, down from 32% in the first six months of 2007 and peaked at 43% in the first half of 2008. There was a similar pattern for developers who purchased just 2% of the homes bought with cash in the first half of 2018, down from 6% in the first half of 2007. Conversely, the proportion of cash buyers purchasing homes to live in has increased. In the first half of 2018 some 69% of homes bought with cash were purchased to live in, 14% more than in the first ix months of 2007. The average investor purchasing with cash spends 31% less on a property than a cash buyer purchasing a home to live in at £162,860 compared to £235,480. The South West has the highest proportion of cash buyers at 37% in the first half of 2018, while London has the lowest. Cash buyers purchased 21% of homes in the capital spending £4.15 billion in the same period. But the proportion of homes bought with cash in London has also reached the lowest point on record, down from a peak of 27.1% in the first half of 2009. In London the average home bought with cash cost £503,560, more than double the average spent in the South West at £249,220. West Somerset has the highest proportion of homes bought with cash at 61% with an average price of £223,760, followed by East Lindsey at 57%, West Dorset at 56% and North Norfolk at 55%. Kensington and Chelsea bucks the London trend in fifth place with 54% of homes bought with cash in the first half of 2018 with an average purchase price of £1,353,740. ‘The proportion of homes purchased with cash has fallen to the lowest level on record. Today less than a third of homes are bought with cash. Housing affordability has a role to play in the decline, as does the drop off in investor activity,’ said Aneisha Beveridge, head of research at Hamptons International. ‘Cash buyers have historically tended to be older generations downsizing by cashing in on equity gained from past house price growth. But recent slower price growth and higher stamp duty bills on new purchases have contributed to fewer downsizers, and as a result, fewer cash buyers,’ she pointed out. ‘But not all cash buyers are older generations looking to downsize. Shifting investor sentiment has also contributed to the fall in cash buyers. Increased taxation for landlords and the prospect of weaker future gains has meant that investors accounted for just 24% of cash buyers in the first half of 2018, down from 32% in the first half of 2007,’ she added.